Radoslav Ištok (1989 – Slovakia) studied Curating Art at Stockholm University and Art History at Charles University in Prague. As a governmental scholar he conducted research at the University of Copenhagen (2012-2013). In 2014 he participated in a curatorial course at The Salzburg International Summer Academy of Fine Arts supported by the Erste Foundation through the tranzit network. His graduation project Knowledge Unbound (2015) in collaboration with Yvonique Wellen consisted of a strand of events concentrated around the issues of decolonising knowledge, self-organised art education as well as racialised structures of inequalities in higher education; and included i.a. artists Grada Kilomba, Dmitry Vilensky and Apichaya Wanthiang. Recent projects include editorial work on the Decolonising Archives (2016) ePub by L’Internationale Online and exhibitions In the Sky When On the Floor (2016, with Iliane Kiefer) at the Gallery Mejan, Stockholm, and Finding Neverland (2015, with Tereza Jindrová) at the Entrance Gallery, Prague. As an intern he worked at Tensta konsthall, Stockholm (2015); SALT, Istanbul (2015); and at the moment as a curatorial and production assistant at the Van Abbemuseum, Eindhoven. Rado Ištok is a curator, researcher and editor based in Stockholm. He is a curator of art residencies and exhibition at Nida Art Colony of Vilnius Academy of Arts (2018-2021) in the framework of 4Cs: From Conflict to Conviviality through Creativity and Culture, and a project leader of Spaces of Care, Disobedience and Desire (2018-2020), a research project in collaboration with Marie-Louise Richards and Natália Rebelo, supported by artistic research funding of the Royal Institute of Art, Stockholm. 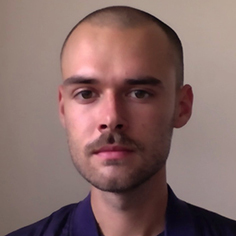 Currently he participates in Decolonizing Architecture at the Royal Institute of Art, and he holds an MA in Art History from Charles University in Prague and Curating Art from Stockholm University. In 2014 he participated in the Salzburg International Summer Academy of Fine Arts. Recent exhibitions include I’m fine, on my way home now at Allkonstrummet, Stockholm (2017) and Galleri Gerlesborg (2018), In the Sky When On the Floor (2016) at Galleri Mejan, Stockholm, and Finding Neverland (2015) at Entrance Gallery, Prague. Editorial work includes Decolonising Archives (2016) for L’Internationale Online, Queer Scandinavia (2015) for A2, and the forthcoming publication of Jacqueline Hoàng Nguyễn Crating the World (2018). He worked as an assistant curator for Positions #3 at Van Abbemuseum, Eindhoven (2016) and as an intern at SALT, Istanbul and Tensta konsthall, Stockholm (2015). In 2018 he was awarded Generator residency in Rennes, France, and in 2017 ACROSS residency in Nice, France; as well as La Caixa travel grant to Spain and a scholarship to attend the Workshop for Emerging Art Professionals at Para Site, Hong Kong.